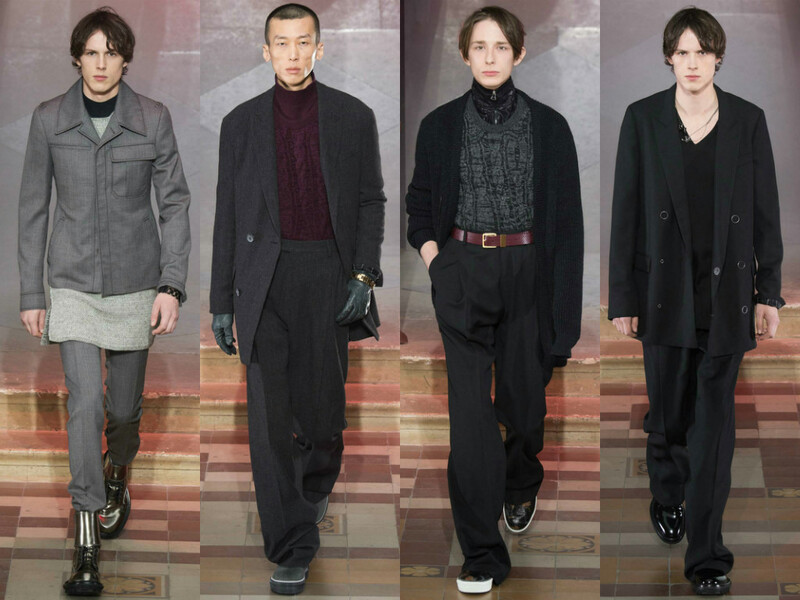 Lanvin Men’s Winter ’15/’16 Collection. Is still one of the strongest brand in menswear. They were the first re-introduce those wide legs trousers and that popular silhouette. I still love this raw edge. It’s a great collection! Good outerwear, good pants, good shoes…and i like the fact that the bags are almost not there. Wow…Great Job Alber….the first guy with the long hair was amazing!